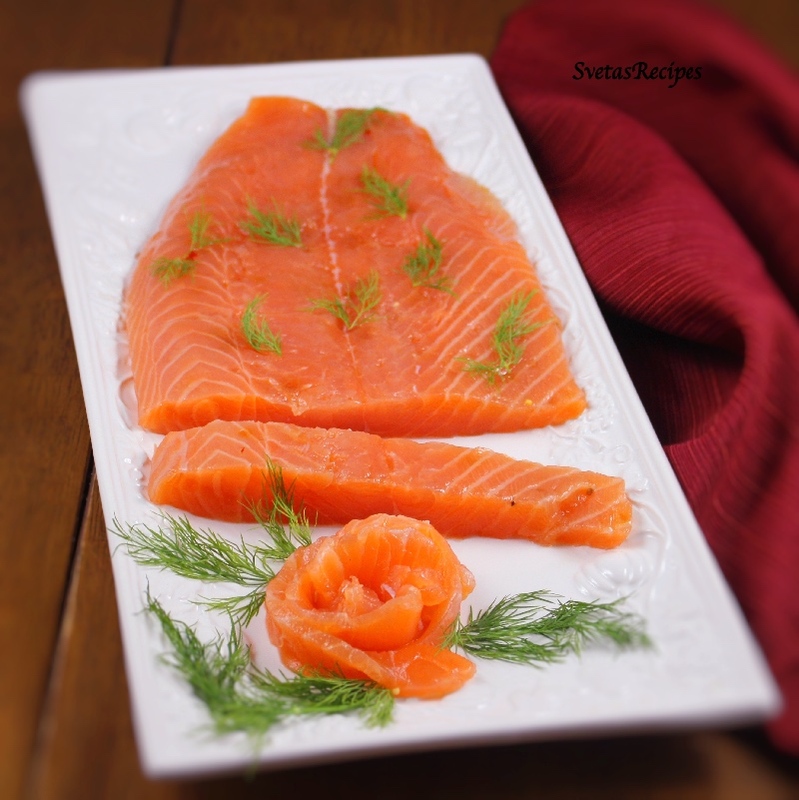 Marinated Salmon goes with a lot of healthy dishes for example mashed potatoes and rice. I also really enjoyed making this, though it was more tasty. 1.) Wash and dry your salmon. 2.) 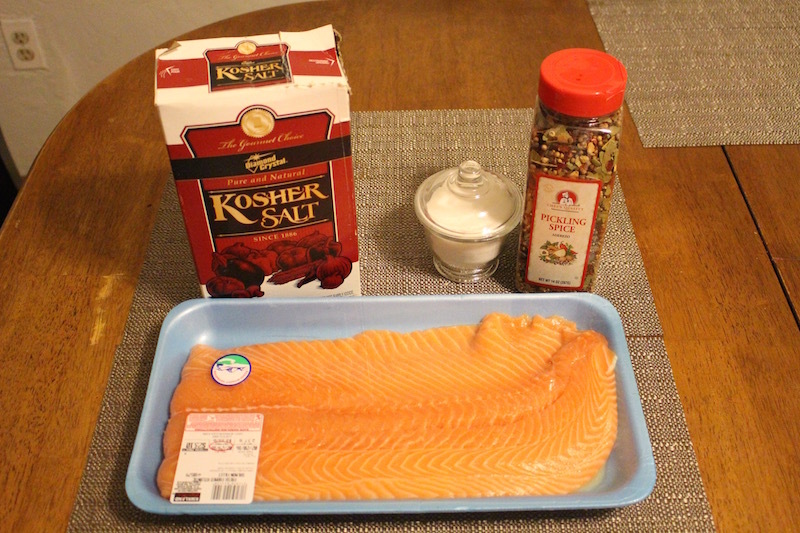 In a small bowl mix together salt, sugar and seasoning after cover your salmon on both size with your seasoning mixture. 3.) 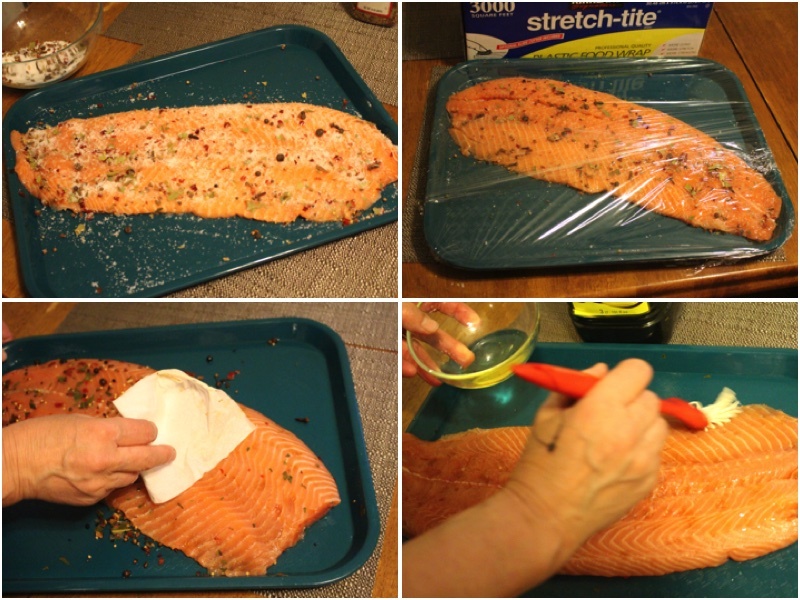 Cover your salmon with plastic wrap and let it sit in a refrigerator for 24 hours. After clean off your seasoning with a paper towel. 4.) Coat your salmon with olive oil on each side. Place on a serving dish and enjoy! Wash and dry your salmon. 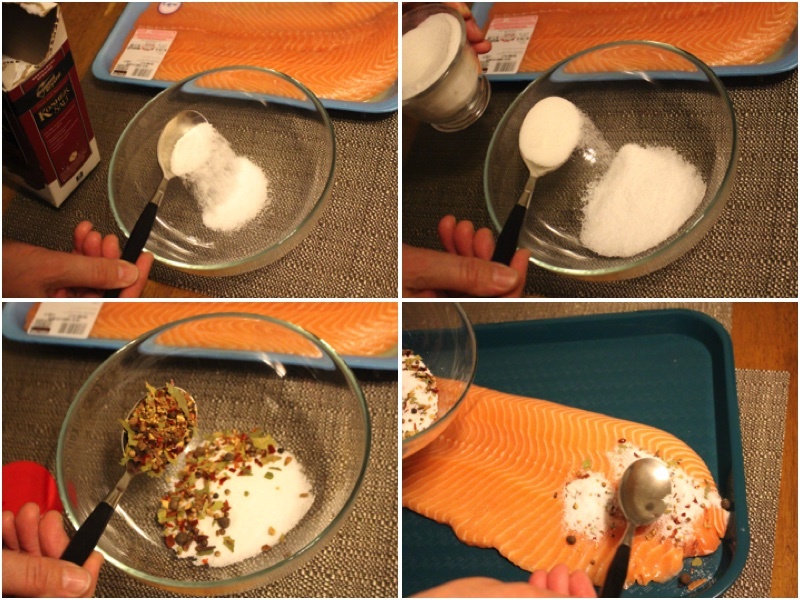 In a small bowl mix together salt, sugar and seasoning after cover your salmon on both size with your seasoning mixture. Cover your salmon with plastic wrap and let it sit in a refrigerator for 24 hours. After clean off your seasoning with a paper towel. Coat your salmon with olive oil on each side. Place on a serving dish and enjoy! Yum cured salmon is so good, especially that pickling spice, it just goes so well with this fish!